Seventy-seven years after the attack that pulled America into World War II, Maine's surviving veterans share memories of joining the fight. SCARBOROUGH — Paul Marks distinctly remembers the moment he heard the Japanese had attacked Pearl Harbor on Dec. 7, 1941. The 19-year-old was washing his car when news of the devastating attack came over the radio. Marks first wondered where Pearl Harbor was located, but his thoughts quickly shifted to his responsibility as an American. Within months, he was enlisted in the Navy and training as a signalman. 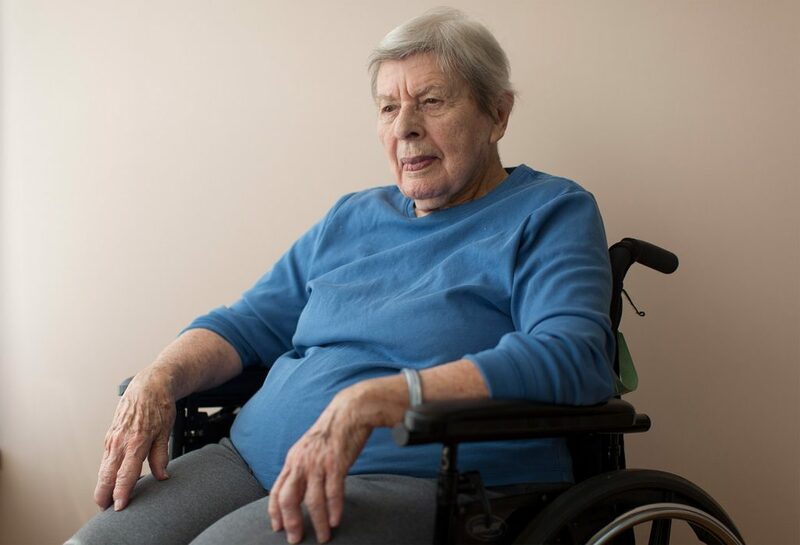 “I felt very seriously that I’m an American and I need to go into the service,” said Marks, now 96 and a resident of the Maine Veterans’ Homes in Scarborough. Seventy-seven years after the attack on Pearl Harbor, memories of the shocking aerial assault and the battles that followed it still linger for the dwindling number of veterans who served in World War II. A total of 112,962 Mainers served in World War II, and 2,551 of them died during the war, according to the Maine Bureau of Veterans’ Services. 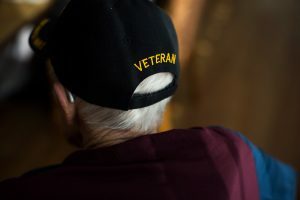 There are now about 3,100 World War II veterans living in Maine, according to the U.S. Department of Veterans Affairs. Unlike Marks, veteran Barbara Sterling doesn’t remember where she was the exact moment she heard the news of the attack that left 2,403 Americans dead and pushed the United States into the war. But she remembers the stunned feeling she shared with the entire nation. “I was shocked to think that would happen to our country,” said Sterling, also 96 and a resident at the veterans home. “No matter how long it may take us to overcome this premeditated invasion, the American people in their righteous might will win through to absolute victory,” Roosevelt told the nation. Barbara Sterling, 96, a World War II Navy veteran who served from 1943-46, served at Pearl Harbor after the attack. After the start of the war, it seemed like everyone in Sterling’s hometown of Harpswell had gone to serve their country, including her brother. She joined the Women Accepted for Volunteer Emergency Services, or WAVES, a unit of the U.S. Naval Reserve established in 1942 that grew to include more than 10,000 women. “I just joined. There was nothing glamorous about it,” said Sterling, who served with WAVES from 1943-46 and did work critical to supporting the military. In the year after the bombing, both Marks and Sterling would find themselves stationed at Pearl Harbor, then the site of a naval base on the Hawaiian island of Oahu. Both recalled how there were still signs of the attack, which destroyed 180 aircraft and destroyed or damaged more than a dozen ships. Sterling, whose father also served in the military, worked primarily in the Navy yard at Pearl Harbor, where she dealt with supplies being shipped in for service members. More than seven decades later, she still remembers clearly the people she worked with and the kindness of the Hawaiians she met. 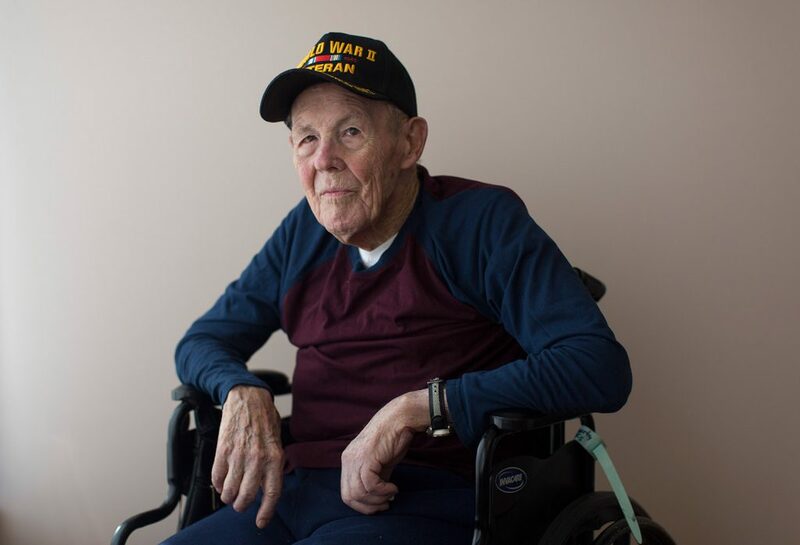 Paul Marks now lives at the Maine Veterans’ Homes in Scarborough. The ship he was stationed on spent time in Pearl Harbor after the attack. Marks’ time in Pearl Harbor was shorter, but no less memorable. Marks, who was originally from Pittsburgh and had four brothers who also served in the war, was sent to the University of Chicago for training as a signalman. Signalmen were responsible for transmitting, receiving and decoding messages. After working on missions along the East Coast, Marks’ ship sailed to Pearl Harbor. It was in Oahu that Marks crossed paths with one of his brothers, whose Navy ship was in the harbor at the same time. After leaving Hawaii, Marks’ ship headed farther into the war’s Pacific Theater. His superior officer aboard the USS PC-1137 was actor Kirk Douglas, who Marks said was often seasick and was soothed by the crackers and milk that Marks would bring him. Marks also had a couple of memorable brushes with history during his time in the Pacific. In September 1944, his ship was near Chichi Jima in the Bonin Islands when nine American airmen escaped from their planes after being shot down by the Japanese. Marks’ boat was on its way to rescue the one survivor – a young pilot named George H.W. Bush – when a nearby submarine got there first and plucked the future U.S. president from the water. The escape and rescue was one of many stories recounted this week amid the memorials to the late president. Later, Marks was at the Battle of Iwo Jima and climbed to the top of Mount Suribachi, where the raising of an American flag by six Marines was captured in an iconic photograph. After the war ended, Sterling returned to Maine and settled in Scarborough, went to work at Maine General Hospital and married an Army Air Corps fighter pilot. Together, they raised two children and went on to welcome two grandchildren and two great-grandchildren. Marks went home to Pittsburgh and his wife, Kitty, whom he had married in a small church in Miami when his ship was stationed there. He worked as a printer at three major newspapers and raised a daughter and two sons, both of whom went on to join the Navy like their father. Marks, who was married to Kitty for 60 years before she died, moved to Maine this year to be near his son. When the anniversary of Pearl Harbor and other major World War II milestones come around, Sterling and Marks find themselves thinking of their service and the sacrifices their fellow veterans made for the country.